Proscan is a wicked cool hunk of software for Scanner Junkies like me. It lets you take your expensive overpriced Uniden SDS100 (and other) scanners and do cool things with it, like make your scanner accessible to the web, or upload your feeds to scanner apps, etc. It is worth every penny and then some. If NOTHING ELSE ProScan allows you to display your LCD screen on a much larger computer screen. This entry was posted in Scanner, Software on January 11, 2019 by John Hagensieker. One of my favorite programs for decoding digital audio is DSDPlus. I’ve been using it a couple of years to dissect and decode SINGLE digital signals. Like for instance if I’m in the airport or airport hotel I can listen to DMR radio where the baggage handlers are talking to each other, or the mall cops are planning how to be real cops. Or you can hear the hotel staff on their radios which is sometimes really fun. BUT…….DSDPlus also follows Digital Trunked Radio. That is where there is a Control Channel which is monitored and then the calls are “trunked” to available frequencies allowing for more users to use the system without confusion. Also users can be placed into Talk Groups which keeps down the confusion even more. Entire cities can use one radio system to control municipal services such as Police, Fire, EMS, Public Works, Events, etc. This entry was posted in Scanner, SDR, Software on November 18, 2018 by John Hagensieker. So I bought the Uniden SDS100 hardware scanner, and I love it. But it cost $700, and then I added DMR decoding for $60, and NXDN decoding for $50. So I’m into this in a big way. The SDS100 is POWERFUL. It is not a toy by any stretch of the imagination. It comes with free control software called Sentinel (yeah the download is hard to find on that page). Sentinel is adequate for managing favorites and reading and writing to the scanner and it is all you NEED. However I stumbled across this hunk of software called Proscan which looked interesting but it also costs $50. Where does the cost with this scanner end? Well, like most programs Proscan has a 30 day trial version so I gave it a shot. After playing with it for like an hour I knew it was worth the cost so I bought it. It does NOT disappoint. This entry was posted in Scanner, SDR, Software on August 24, 2018 by John Hagensieker. Ok, I’m more and more impressed with my new SDS100 scanner and just learned that it has GPS capability (with an added external module). Heck I was impressed that you could just type in the zip code and pull in all the local services fit to scan. And that’s all good unless you are MOVING because as you move on down the highway your zip code obviously changes. Also if you have a GPS module then you don’t even have to know what zip code you are in. Win, win. 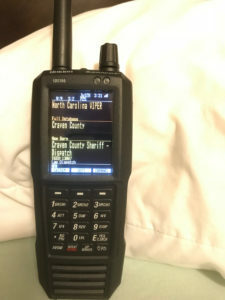 Trouble is the “official” accessory for the SDS100 GPS module costs another $100 (with shipping) or so on top of the scanner which already costs about $700. In addition to that you need a $20 cable not included. Ouch! So…..$120 for GPS or roughly $40. You decide! This module was designed by a poster at RadioReference.com named Hit_Factor who came up with a $42 DIY module. 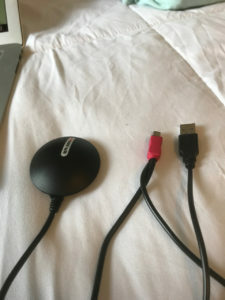 A USB cable with a USB “A” connector on one end. You probably have one laying around somewhere. Doesn’t matter what is on the other end as you’ll chop it off anyway. It needs to be of sufficient wire gauge so it can carry current. Some cables have tiny, tiny 28 ga. wire. That won’t cut it. This entry was posted in Scanner on August 6, 2018 by John Hagensieker. I have a Uniden SDS100 scanner however the only software available for programming and firmware and database updates is Windows only. Sigh. I’m a Mac guy. 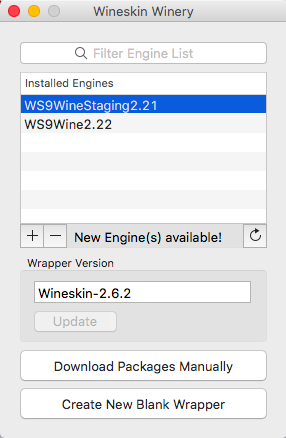 Wineskin to the rescue. Download Wineskin and double click. This entry was posted in Scanner, Software on August 3, 2018 by John Hagensieker. I have so many computers doing various police scanner programs such as SDRTrunk and OP25 that I started running out of computers and Raspberry Pi’s. 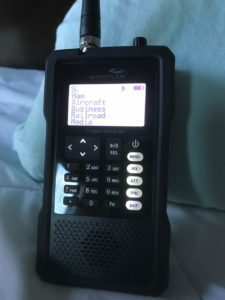 I’m really enjoying listening to the police scanner much like my father did many years ago with his Radio Shack scanner. I decided to reclaim some computers so I went out and bought a Uniden SDS100 Scanner from Bearcat Warehouse. I had some questions regarding shipping and the scanner and the guy on the phone was super helpful and even called me back to let me know when my SDS100 shipped. First impression is the cost. Youzah! $650 but this thing does all the digital modes however sadly you have to pay for additional modes if you want them. Not sure that impresses me but I think there is a licensing fee involved with DMR or NXDN so if it were added up front the scanner would be more expensive. The latest BETA firmware can be found in a sticky thread there as well. Bear in mind the Sentinel program will install STABLE firmware. BETA firmware is installed differently than STABLE firmware. This entry was posted in Scanner on July 28, 2018 by John Hagensieker.